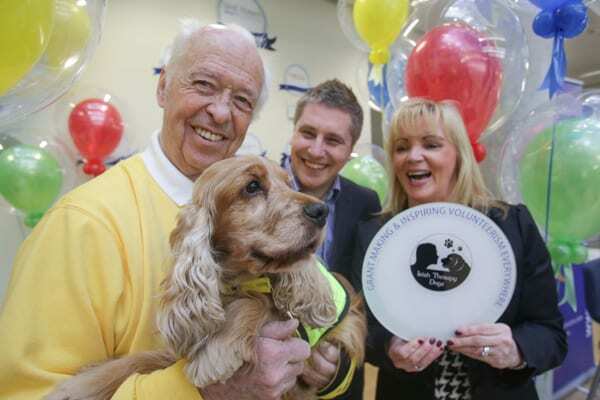 Irish Therapy Dogs was recently nominated by the employees of eBay and PayPal as one of the beneficiaries of their ‘Give Foundation’ Fundraising Initiative. On April 4th a cheque for €2000 was presented to our Chairperson, Brían O’Sullivan. The cheque was presented, on behalf of the Foundation, by Louise Phelan Vice-President, Global Operations, Europe and Africa at PayPal and Gary Hagel, Senior Director, eBay Customer Experience, Europe. Irish Therapy Dogs would like to thank the employees from both companies for their generosity and for the warm welcome given to us on our visit to their offices.